Having eliminated all her sworn enemies in one fell swoop with the devious plan, Queen Cersei swiftly seized control of the Seven Continents. The newly crowned monarch used her first public appearance to issue a warning to all those who would disobey her. 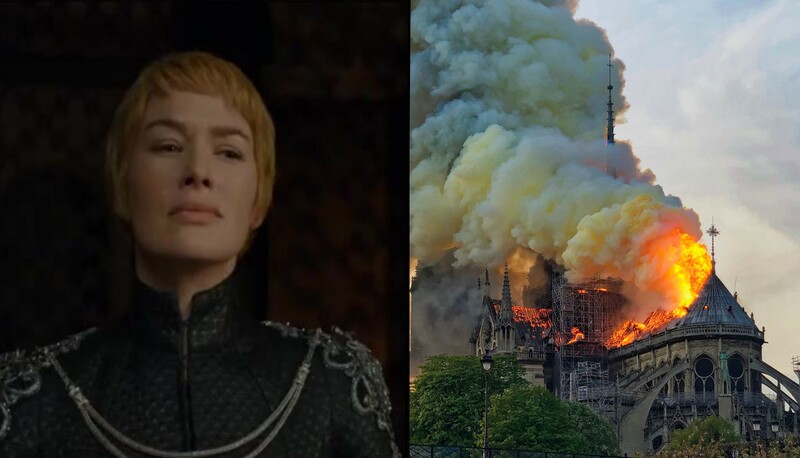 “I’ve done this before and I’ll do it again!” declared Queen Cersei, who pulled off a similar plot a few years ago when she blew up a culturally significant cathedral on a nearby island. Your false gods died the moment the spire of Notre Dame collapsed. I am your one true god now! As she surveyed her new dominion, Queen Cersei wasted little time declaring herself the absolute ruler of the Seven Continents. She then embarked on a far-right tirade about the dangers of socialism and immigration. At publication time, witnesses reported that a second blonde queen was considering starting a few fires of her own.